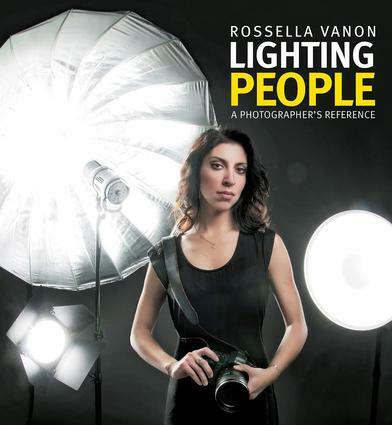 This book utilizes award winning photographer Rossella Vanon’s contemporary style and up-to-the-minute knowledge to teach how each kind of light works. This approach provides a key grounding for photographers, followed by creative techniques that go beyond traditional approaches. Unique to this book is a reference section that clearly presents a series of photographs of the same four models, representing different gender and ethnic groups, shot from different lighting positions and against different backgrounds. This versatile segment is organized in such a way that photographers can study it for hours when time permits or flip through it in moments while shooting. Rossella Vanon is an award winning fashion and beauty photographer who has had her work exhibited in Times Square. She is currently based in London and has shot for clients including Nylon Mexico, Fashion 156, Cielo, Push it, Mediaset Italy, TAW London and appeared in many international photography learning communities including phlearn.com and PROFOTO. In between her photography schedule she finds time to teach workshops in London.